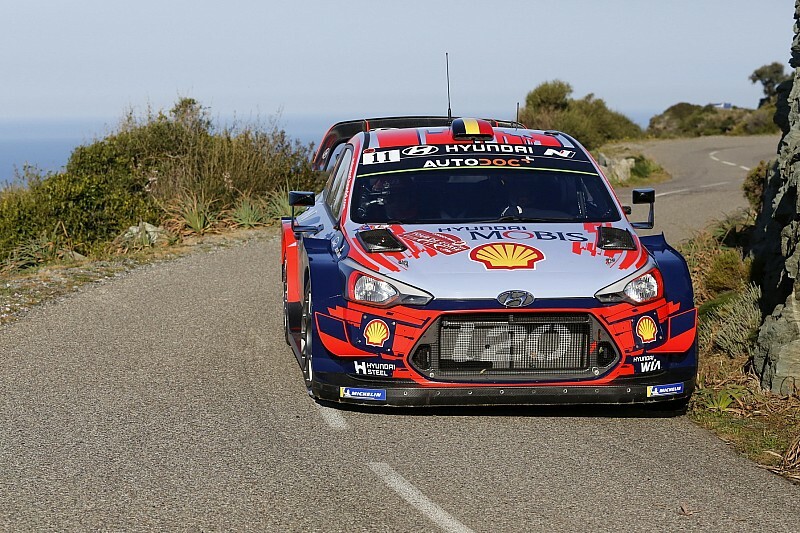 Thierry Neuville will take a lead of 4.5 seconds over Elfyn Evans into Sunday as the Tour of Corsica turned on its head. Ott Tanak had led the rally heading into the afternoon ahead of Evans, with Neuville 17.2s behind. 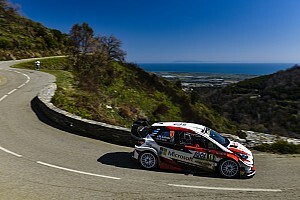 Evans started the afternoon with intent, trimming World Rally Championship points leader Tanak’s 2.3s advantage down to 1.6s on the first stage of the loop, Cap Corse. 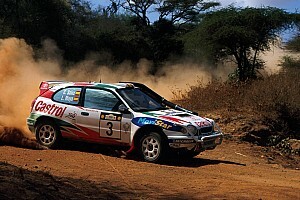 The pair’s epic battle was cut short however when Tanak’s Toyota stopped in the middle of SS11 with a punctured tyre. The Estonian lost over two minutes to stage winner Neuville and plummeted from first to seventh - recovering to sixth place by the end of the day. Neuville had begun to drift away slightly from Tanak and Evans ahead of him throughout Saturday, but smelled blood when Tanak hit trouble. 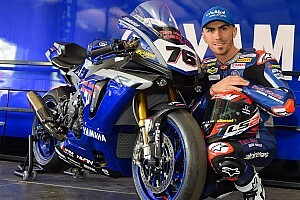 He put in a sublime performance to beat Evans by 16 seconds on the final stage, turning a 11.5s deficit into a 4.5s to set up a dramatic finish on Sunday. This came as a surprise to Evans, who had thought he had set a competitive stage time. World champion Ogier momentarily lost the anti-lag in his C3 on the final stage of the day which caused him significant distraction, but the Frenchman still manged to pass Dani Sordo to end the day third after starting it in sixth. Sordo dropped 19.5s to Ogier in the 30 miles of Castagniccia to trail by 5.1s overall, lamenting his speed in the second pass of the stage he won in the morning. Teemu Suninen was rejuvenated in the afternoon after dropping from fifth to sixth in the morning. The M-Sport driver struggled to make any ground on Ogier and Sordo ahead of him but crucially kept his car on the road. He is now fifth after Tanak’s problems. Esapekka Lappi cut the same downbeat figure he has all weekend on the afternoon loop, as he continues to work on optimising the set-up of his Citroen. 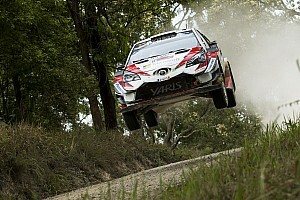 Lappi is seventh. Sebastien Loeb, in eighth place, was unhappy with changes he’d made to his Hyundai at midday service, complaining of understeer. Kris Meeke “enjoyed” his afternoon as he continues to hold ninth overall in his Toyota, avoiding any drama in stark contrast to his Friday. Jari-Matti Latvala picked up his second puncture of the weekend on the penultimate stage of the day, almost understeering into the undergrowth before stopping to change it. The Finn admitted it was his mistake as he was trying to push but cut a corner and destroyed his tyre. Despite this setback, Latvala is still 10th. The final stage of the day was red-flagged after Eric Camilli’s Volkswagen Polo R5 caught on fire. Camilli had lost his WRC2 lead in the morning but was hunting down Fabio Andolfi for the class lead.